(AgWeek) – It’s an axiom — an established, self-evident fact — that modern farm equipment allows Upper Midwest agricultural producers to make rapid harvest progress when the weather cooperates. That was borne out yet again in the week ending Oct. 28, with Minnesota, North Dakota and South Dakota farmers cruising through roughly a quarter of their soybean crop, according to the weekly crop progress released Oct. 29 by the National Agricultural Statistics Service, an arm of the U.S. Department of Agriculture. 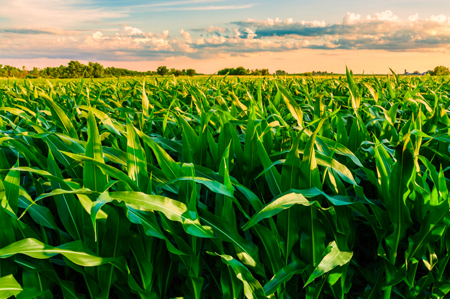 Substantial progress was made with corn, too, though farmers who raise both generally focused on combining soybeans, which typically are harvested before corn. The sugar beet and sunflower harvests also made progress. Despite the harvest gains, however, the region’s overall harvest pace still trails the five-year average. That reflects rain and snow delays earlier in October. Here’s what the new report says about the area’s soybeans, corn, sugar beet and sunflower harvest. Minnesota — Eighty-seven percent of the crop was harvested by Oct. 28, up from 62 percent a week earlier but down from the five-year average of 95 percent for Oct. 28. North Dakota — Seventy-eight percent of the crop was harvested by Oct. 28, up from 53 percent a week earlier but down from the five-year average of 92 percent for Oct. 28. 48 percent a week earlier but down from the five-year average of 94 percent for Oct. 28. North Dakota — Thirty-six percent of the crop was harvested by Oct. 28, up from 21 percent a week earlier but down from the five-year average of 44 percent for Oct. 28. South Dakota — Forty-one percent of the crop was harvested by Oct. 28, up from 25 percent a week earlier but down from the five-year average of 50 percent for Oct. 28. Minnesota — Fifty-eight percent of the crop was harvested by Oct. 28, up from 35 percent a week earlier and the same as the five-year average for Oct. 28. Minnesota — Ninety-two percent of the crop was harvested by Oct. 28, up from 73 percent a week earlier but down from the five-year average of 95 percent for Oct. 28. North Dakota — Nine-three percent of the crop was harvested by Oct. 28, up from 79 percent a week earlier but down from the five-year average of 98 percent for Oct. 28. North Dakota — Forty-nine percent of the crop was harvested by Oct. 29, up from 30 percent a week earlier and up from the five-year average of 43 percent for Oct. 28. South Dakota — Sixteen percent of the crop was harvested by Oct. 29, up from 8 percent a week earlier but down from the five-year average of 48 percent.